Many, including the V4 Report, warned Angela Merkel over her insistence to “open the borders” but were dismissed and slandered as xenophobic or intolerant. Two years later, the first statistics regarding migration have just been compiled. According to The Straight Times, the numbers support the conclusions of those who opposed the admission of asylum seekers, for it appears that mass migration was indeed responsible for an appreciable change in the criminal activity in Europe. It is by now abundantly clear that integrating new immigrants into European societies will take far longer than even the pessimists originally believed. There have been headlines such as the Syrian refugee who killed his girlfriend with a long kebab knife, the episode of an asylum seeker who raped a camper in front of her friend and, more recently, the harrowing story of a 15-year-old Afghan who killed his former girlfriend in front of customers in a pharmacy. No longer, however, can these realities be hidden. The statistical evidence points to a pattern of crime connected to increased immigration, at least as far as youngsters are concerned. A study conducted by the Zurich University of Applied Sciences in neighbouring Switzerland, but using data provided by Germany, found that although youth violence in Germany has declined for more than a decade – mirroring a trend in other European countries – it has increased by 12.3% between 2015 and 2016, with the criminal perpetrators being, according to the study’s authors, primarily “non-German suspects”. The responsibility of young migrants for the increase in violence is even more pronounced at the level of Germany’s component federal states. In Lower Saxony, for instance, youth crime rates jumped by 10 per cent, with over 90 per cent of that attributed to migrants. Overall, an average of 500 out of 100,000 Germans aged between 14 and 18 end up being convicted of criminal offences, but among the latest batch of “non-Germans”, the figure is estimated by the researchers to stand at 2,500 per 100,000, roughly five times Germany’s average. These statistics are shocking but not surprising. Countries like France and Belgium – both containing large Muslim populations – have struggled with integration for decades. There are “no-go-zones” and both societies have nourished the type of environment that breeds radicalization and “home-grown” jihadists. These latest criminal statistics only add another reason why Visegrad must continue to reject EU “solidarity” regarding migration. Far from being isolated, Viktor Orban and Visegrad are attracting others to their cause. Austria’s new Foreign Minister Karin Kneissl once accused Angela Merkel of acting “in a grossly negligent way” by admitting large numbers of asylum seekers. Meanwhile, mass migration from alien cultures has burdened Germany beyond crime. In the central and wealthy German state of Hesse, only 45,000 of the total 120,000 refugees registered since 2015 are deemed fit to work, and only a quarter of these are in any employment, largely because they cannot speak German and have no qualifications. “Integrating refugees will take up to 15 years,” predicts Mr Frank Martin, head of Hesse’s employment department. Unfortunately, emotional slogans replaced critical thought at the beginning of the migrant crisis when strong leadership was needed to secure the external borders at all costs. “We can do it” was the slogan of Germany in 2015. Jiri Drahos, the Eurocrat-favored candidate for President in Czechia, signed a proclamation stating that “all those seeking shelter in Europe should be provided with security and dignity”. Well, we know that “all seeking shelter” in Europe were not just refugees, but also economic migrants and Islamic extremists taking advantage of a rich but weak and naive EU. It may be too late for Germany, especially since they are still reluctant to accept reality. The new government looks like it will be the same as the old government. 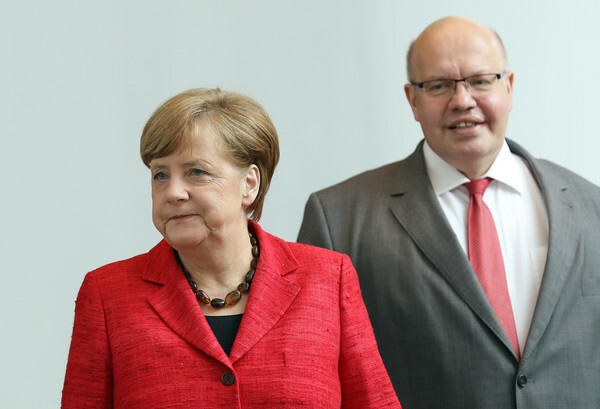 While Germans suffer, the leaders of the CDU, CSU and SPD protect each other.